UFO SIGHTINGS DAILY: Alien Base Entrance Found Under Floating Island, Argentina Aug 2016, Video, UFO Sighting News. Alien Base Entrance Found Under Floating Island, Argentina Aug 2016, Video, UFO Sighting News. 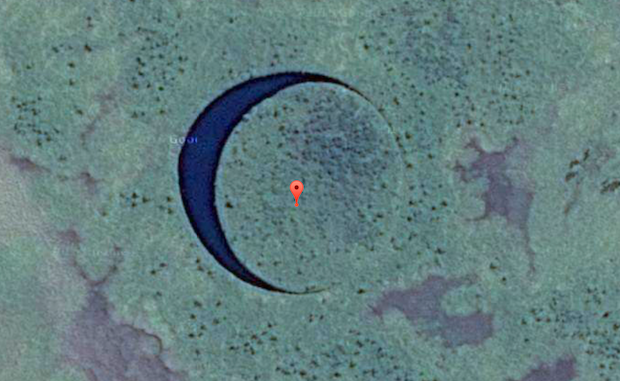 A floating island has been found not far from Buenos Aires, Argentina on Google Map and it rotates in a circle. 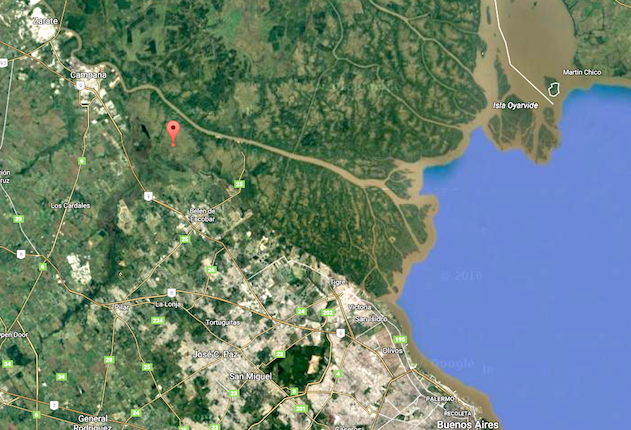 Argentina has an over abundance of UFO sightings compared to the rest of the world and I believer this is how aliens try to hide this particular entrance to their base. The shape is large and circular, big enough to fit a 100 meter UFO through it. The water below this floating island needs to be dove into and explored. 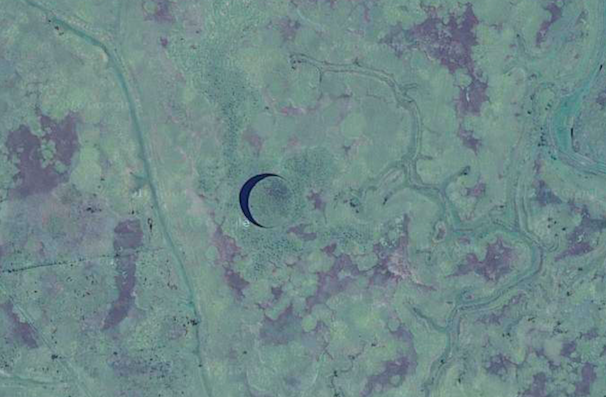 The​ E​ye is a circle of land surrounded by a thin channel of water with an outside diameter of 130 yards. Both, the inner and outer circles, are perfect. The center circle moves and rotates on its own axis. We discovered that water is incredibly clear and cold, something totally unusual in the area. The bottom is hard in contrast to the swampy marshes surrounding it. The central part floats, ​We do not know over what… but it floats. We want to understand The Eye's relation with supernatural stories told by locals. We plan to make a movie with all the material, from expedition organization to final evaluation of the samples at the laboratory. We need you to be a part of this adventure, help us finance this project and watch as we unfold the mystery surrounding The Eye, an opportunity exclusive to the project's contributors.